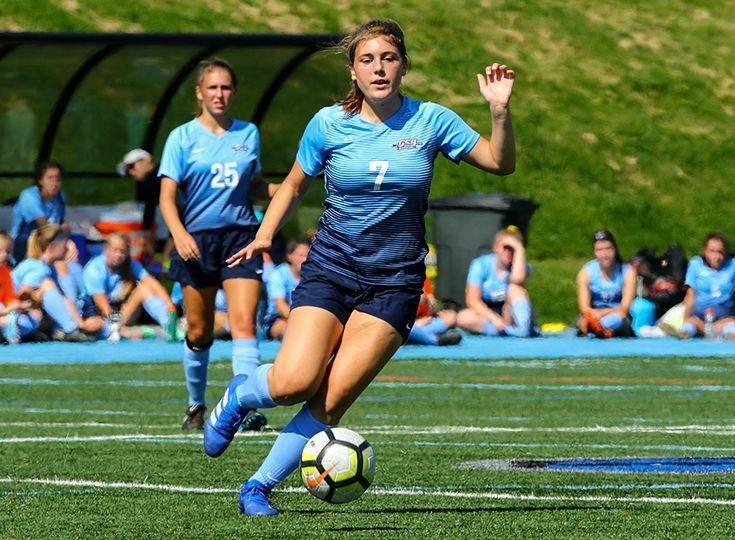 The Gill St. Bernard’s girls’ soccer program lost to Bridgewater-Raritan 5-0 on October 13 in the quarterfinals of the Somerset County Tournament. The powerful Bridgewater-Raritan program entered the contest ranked fourth in New Jersey and the top-seed in the tournament. Gill junior Teresa Zimmer, the reigning Skyland Conference Player of the Week, was busy between the posts as she recorded 13 saves on the day. Earlier in the week, Gill defeated Manville 6-0 on October 9. Junior Emily Raia scored two goals and Zimmer recorded three assists. The Knights are 12-2 on the season and are at the top of the Mountain Division standings.